The Alumni Association of Western Reserve Academy is composed of every former student, including those who may have only attended WRA for one year. There are no membership fees or dues. The Alumni Association is headed by the Alumni Association Board (AAB). The overall mission of the AAB is to foster awareness, participation, relationships and opportunities within our community of current students, alumni, parents, prospective WRA families and friends. For more information about how to become involved in WRA's Alumni Association, please contact Director of Alumni Relations & Annual Giving Abbey Swegan Baker '94 at bakera@wra.net or 330-650-5807 or nominate an AAB member by completing this form. Educate current students on the importance of networking, and post-graduation opportunities. 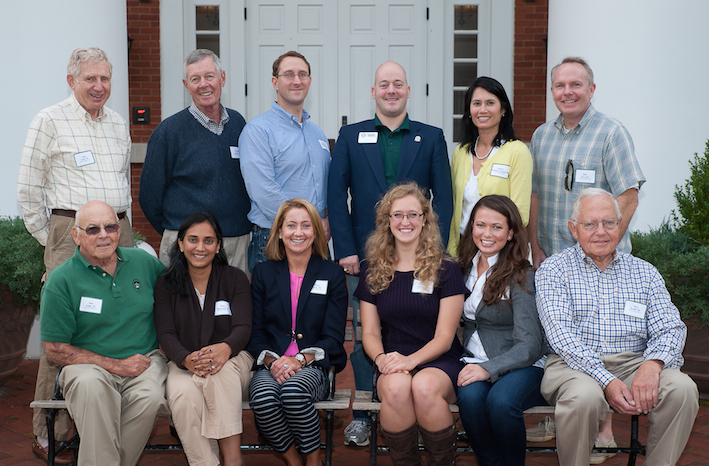 WRA’s Alumni Association is a vast and diverse group, stretching around the world. More than 5,000 members of the Alumni Association are a remarkable group of men and women. Originating in 1982, the Alumni Association Award is presented annually to an alumnus or alumna "who has demonstrated outstanding commitment to Reserve." It is the Alumni Association's highest honor. The award primarily recognizes significant volunteer work on behalf of the school. Although fundraising activities are not a focus of the evaluation process, recipients have often been involved in many of the activities raising money requires (The WRA Fund chair, capital campaigns or Reunion). To nominate an alumnus or an alumna for the Alumni Association Award, please complete and submit the nomination form. If you have any questions, please contact Director of Alumni Relations & Annual Giving Abbey Swegan Baker '94 at bakera@wra.net. 2000-01 | Class of 1950-2000 Club, Inc. Established in 2003, the Morley Science Medal is named for Edward W. Morley, who was a faculty member at Western Reserve College from 1869 to 1906 and is best known for his role in the landmark Michelson-Morley Experiment in 1887, which attempted to measure the velocity of the earth and the speed of light, an experiment that paved the way for Einstein’s theory of relativity. Morley was nominated for the Nobel Prize in Chemistry in 1902. To nominate an alumnus or an alumna for the Morley Science Medal, please complete and submit the nomination form. If you have questions about the nomination process or timeframe, please contact please contact Director of Alumni Relations & Annual Giving Abbey Swegan Baker '94. Established in 1972 to honor faculty master J. Frederick Waring, the Waring Prize is awarded to "an alumnus or alumna of Western Reserve Academy who, by his or her way of life and achievements, whether at the beginning, middle or near the end of his or her career, represents the human and individual values the Academy strives to foster, as well as the many graduates known or unknown who have similarly made their contribution to society." Past recipients include alumni from various walks of life including poets, educators, scientists, writers and clergy. If you would like to nominate an alumnus or alumna for the Waring Prize, you may do so at any time by using the Waring Prize Nomination Form to submit your candidate. If you have questions about the selection process or timeframe, please contact Director of Alumni Relations & Annual Giving Abbey Swegan Baker '94 at bakera@wra.net.